Due to the holiday and a few other things going on we were unable to bring you a new Combinations and Permutations this week but as a gift to the Combinations and Permutations audience I am giving you the audio from my interview with president of the AMS George Andrews from ACME Science’s other podcast Strongly Connected Components. If you want to know more about George Andrews please visit his website, and if you are interested in hearing more Strongly Connected Components just click on the subscribe button on your right. We will be back with new Combinations and Permutations next week so stay tuned. 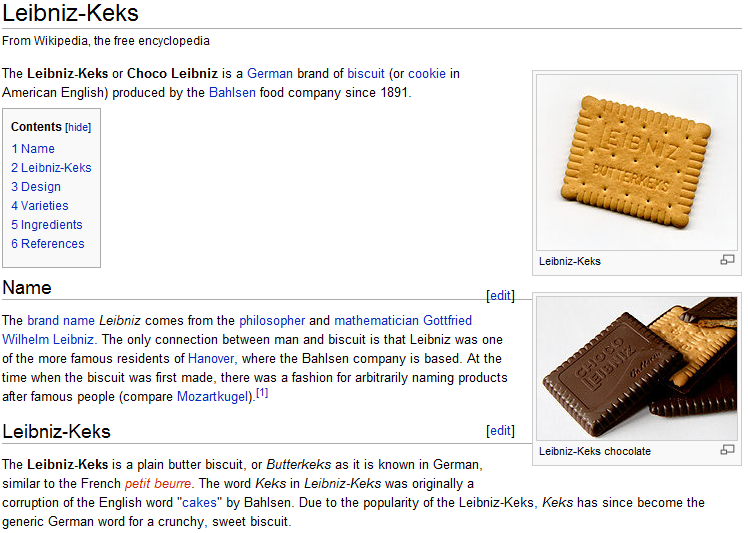 Thanks a lot to Daniel over at the Combinations and Permutations Facebook group for sharing the wonderful info that Leibniz has his own cookie, just another thing that the true father of Calculus has over Newton.